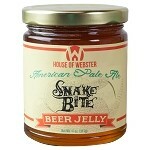 Snake Bite APA: A straight-beer jelly, made with locally-brewed American Pale Ale. 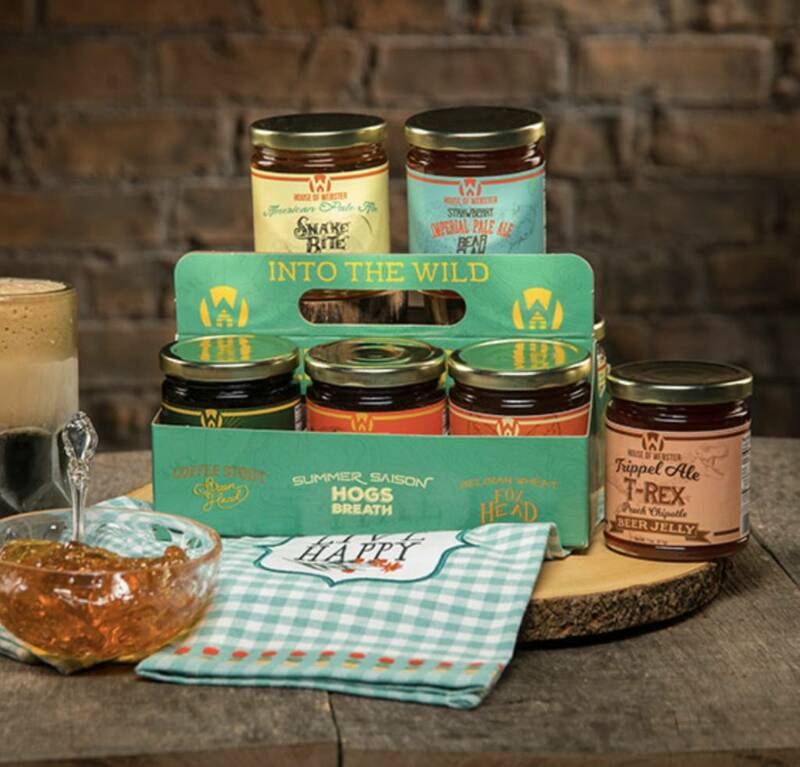 It is a crystal-clear jelly with the freshest hops-flower savor. 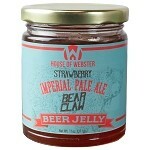 Strawberry IPA Bear Claw: Imperial Pale Ale was originally made by the British for their expatriates to India. 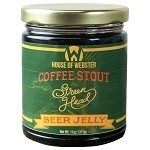 It is made using a lot of hops and still carries the flavors of the oak barrels in which in is stored. We added strawberry to its original floral note create a complex and fruity jelly. 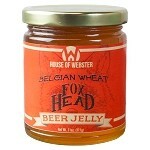 Belgian Wheat Orange Fox Head: Made with a lot of wheat, Belgian Beer is very lightly bitter - we added orange to complement its crisp and fruity flavor. 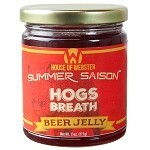 Summer Saison Hog's Breath: Don't let the name fool you! Made in summer, the Season ale is lightly hopped and accented with raspberries. It is a sweet jelly! Coffee Stout Fig: Cream Stout is a rich dark Ale that we infused with locally roasted Onyx coffee, for a rich flavor enhanced with figs. 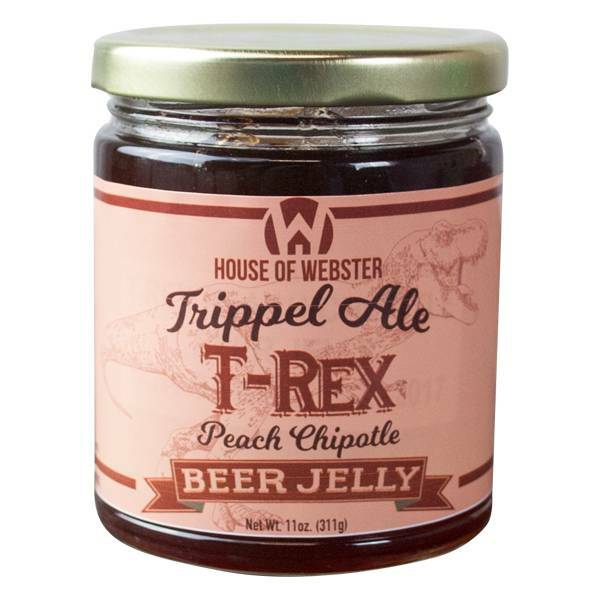 T-Rex Peach Chipotle: We take the famous 3-times brewed Trippel ale, add filtered peach puree and combine it with Chipotle peppers. The smoked ripe red Jalapenos transform the tame flavor into a fierce sweet and hot jelly, than can be used on toast as well as a savory condiment.